Rainbow gradient mesh backdrop with a bright abstract and colorful flower design as a center focus. Floral graphics and a great background, two great elements come in one free download. Great art for your decorative greeting cards and happy birthday party invitations. 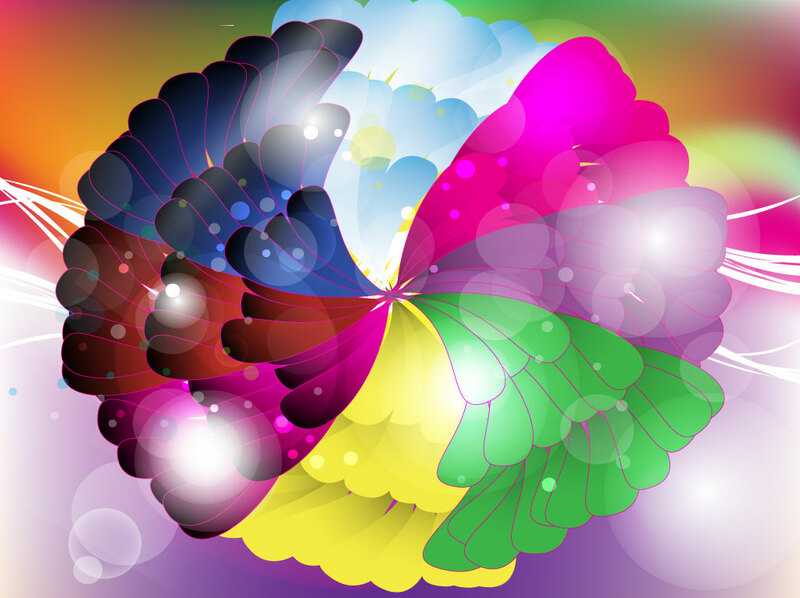 Tags: Colorful, Colors, Composition, Decoration, Floral, Lights, Mesh Vector, Shapes.